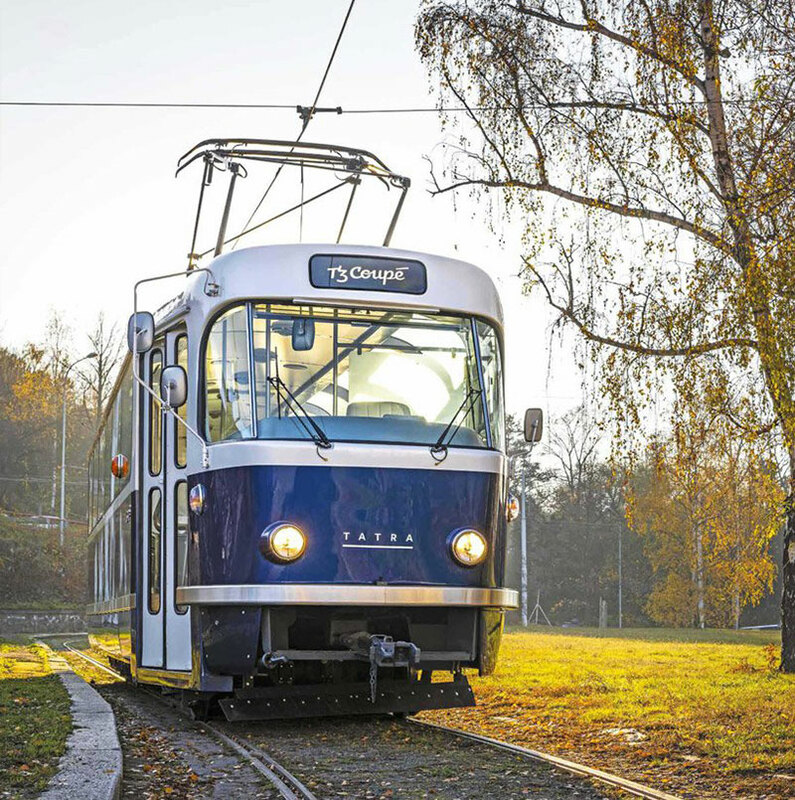 The Prague Public Transport Company in collaboration with Anna Marešová designers has created the T3 Coupé, a new pleasure tram that continues the tradition of the legendary Tatra T3 tram by framing it in a new context while respecting its authentic looks. 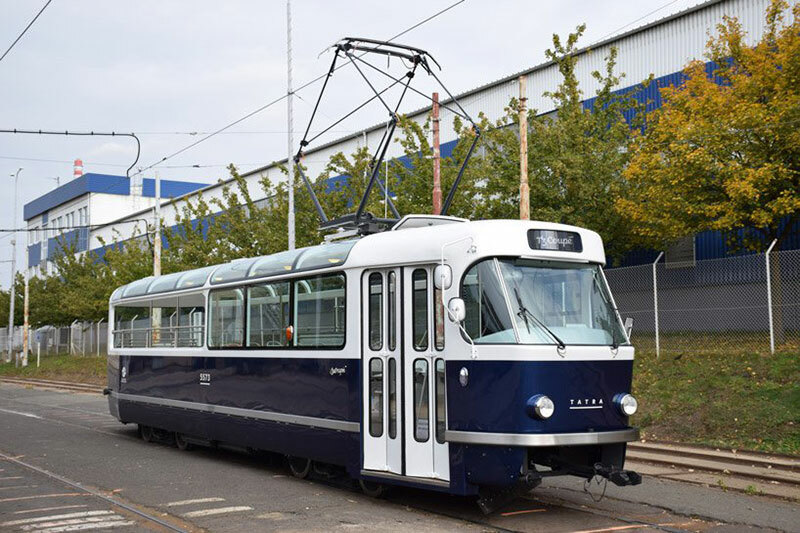 By opening the rear of the tram and combining original elements with modern technologies, it offers passengers the pleasure of riding through the city in a semi-open vehicle, proving that even in public transport there's room for some style. 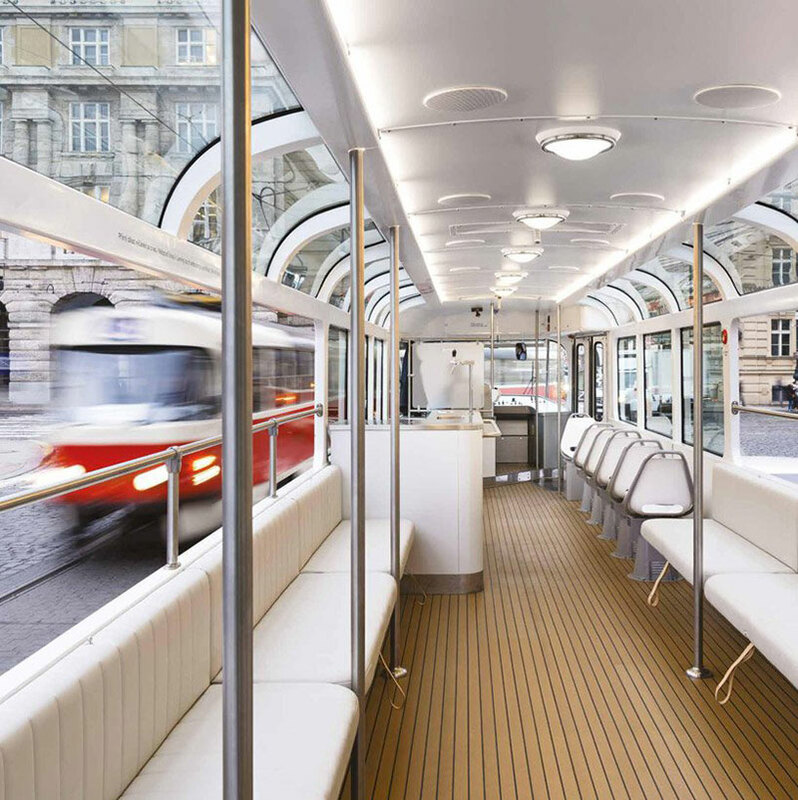 The interior features a bar inspired by a similar one in the 1950s T1 tram which served as a counter for ticket sales. 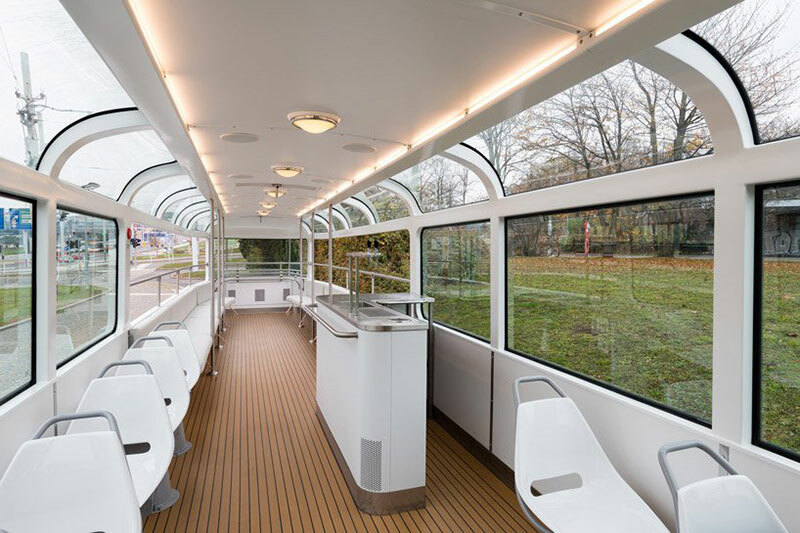 The roof windows were inspired by the famed Škoda 706 RTO bus. 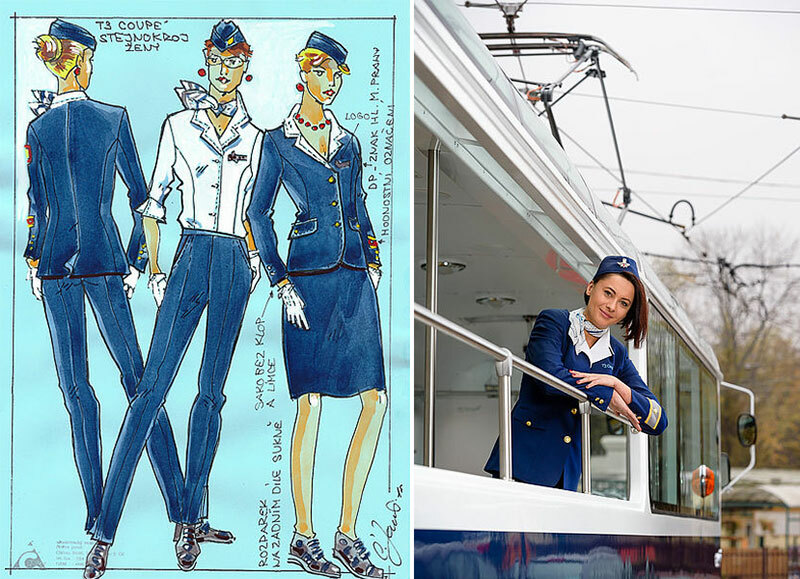 The designers have even included details such as a ticket punch, a permanent fixture in the tram and one that will come into use at the start of each journey, as passengers will be given original T3 Coupé tickets. 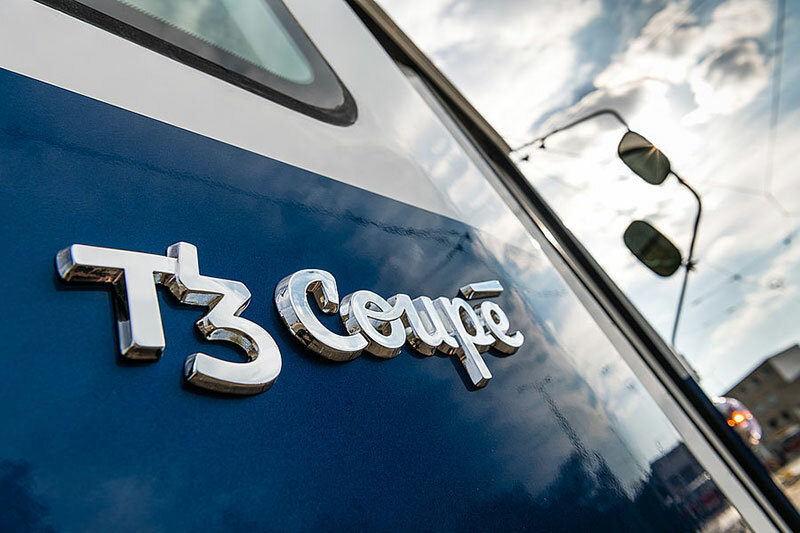 The Prague Public Transport Company in collaboration with Anna Marešová designers has created the T3 Coupé, a new pleasure tram that continues the tradition of the legendary Tatra T3 tram by framing it in a new context while respecting its authentic looks.